Intrinsic to the nature of electric gates is having the convenience of opening your gates from the touch of a button. Approved Installers will be able to provide you with a whole range of options for activating your gates, including remote controls, digital keypads, audio & visual intercoms, key switches and card readers. Whichever type of activation your gate requires, a Approved Installer will advise you on the best solution ensuring you get exactly what you want. Most users will require two or more remote controls to open their gate from their car or at a distance. 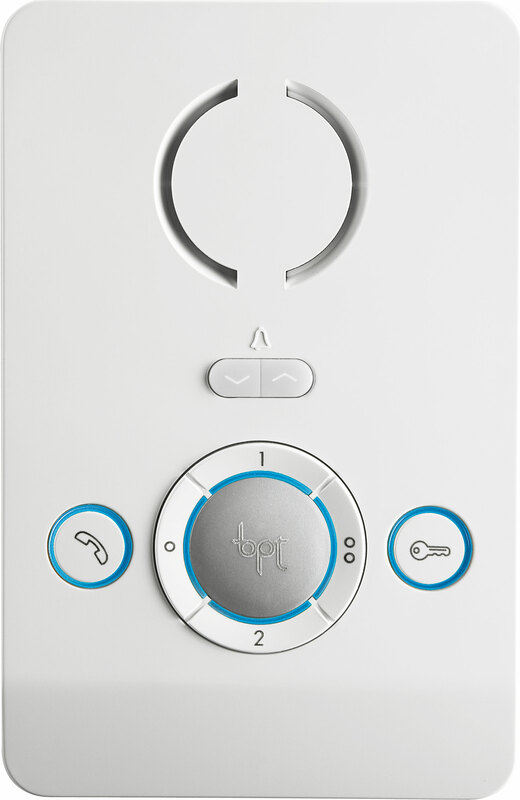 You can select from a variety or remotes from compact and pocketable or larger and easier to press through to multifunction handsets with up to 8 programmable commands for additional automations such as garage doors or lighting. The remote controls function using approved radio frequencies and don't require line of sight to operate, they are sturdy enough to have in your pocket and all have long lasting battery lives to ensure maximum convenience. Why go to the effort of stopping and getting out of your car twice to open, then close your gate when for an affordable amount you can operate them by remote control? The simple task of pressing a series of numbers into a metallic keypad situated at the gateway is a secure way to allow authorised friends, family or other visitors to enter through the electric gateway. 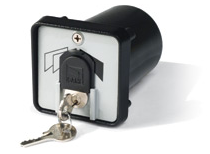 They will not need to carry any keys or cards and thereby will not run the risk of losing them. CAME Keypads are tamper proof and have secondary data information circuit boards which are installed away from the keypad itself; this means they cannot be forced open and the wiring short-circuited to open the gates. A 'Leave-open switch' can be fitted to the intercom, enabling you to keep your gates open from inside your home. A 'card reader access control' system is a very efficient way for a large number of users to be accommodated and monitored as they pass through an electric gateway. This slotless, stainless steel touchplate is not affected by the weather and the card is "read" instantly and effortlessly. It is often used in combination with other methods of switching. The standard 'Video Intercom' is a one-to-one set of equipment, where one outside speech and camera unit station communicates with one indoor wall mounted telephone and miniature television monitor. The simplest and often the most effective form of switching at the gateway is by means of a weatherproof push button. Two of these are generally installed, one on the outside for entry and one on the inside for exit. Push buttons are often used in conjunction with a timeswitch to allow limited access to "bonafide" visitors and for deliveries during certain hours of the day. Keys can come in traditional 'key form', or in the form of a unique magnetic key that fits into the slot. A key switch is often combined with other forms of switching at the gateway.